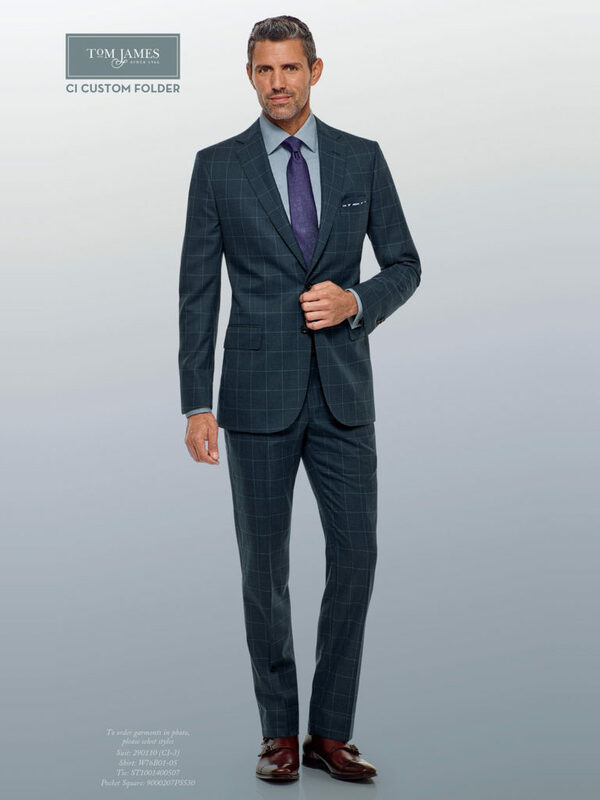 The Men’s Custom Clothing collection features new silhouettes for Suits and Sport Coats. The ultra-trim men’s fashion has been relaxed with slightly fuller jackets and roomer trousers. We are not talking about the over-sized baggy look but just a relaxing that makes the garments more comfortable to wear. We will also be seeing the return of cuffs to mens trousers just with a trimmer fit.